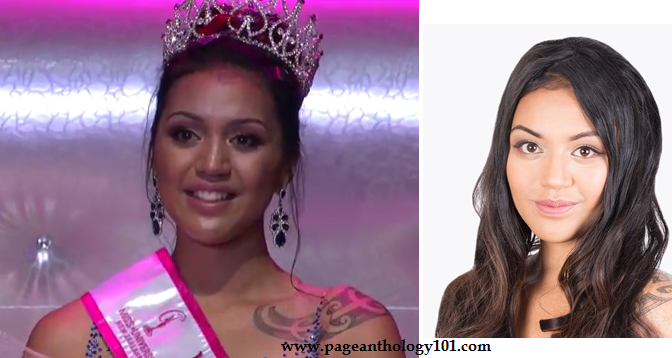 A 19-year-old Kohanga teacher from Napier Harlem-Cruz Atarangi Ihaia was crowned Miss Universe New Zealand at the crowning event held at the SkyCity Theatre. This Maori girl from Hawkes Bay bested 19 other delegates and will now represent New Zealand at the upcoming Miss Universe 2017 competition. She went to Te Kura Kaupapa Māori o Te Ara Hōu in Napier and has a Bachelor of Arts in Māori Studies. She succeeds last year's winner Tania Dawson and won a brand-new Honda Jazz.